Android is Google's distribution of Linux targeted mainly at smartphones and tablets, there are also variants of Android that run on smartwatches, televisions, and cars. Android was originally developed by a company called Android Inc., but Google then bought the company in July 2005, the first version of Android was released in September 2008. 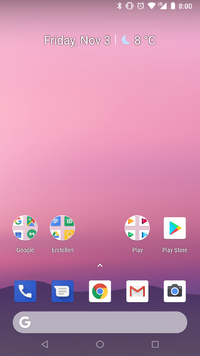 The latest version of Android is currently Android 9.0 which was released on 06 August 2018.